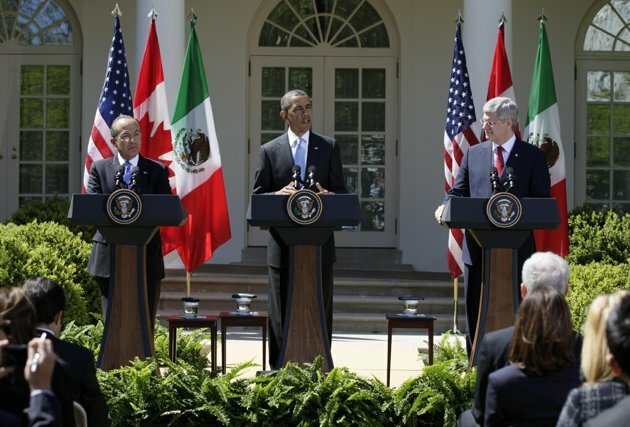 Our media-vaunted “Constitutional Law Professor”, President Barack Obama, attacked the U.S. Supreme Court and the Constitution in one off the cuff response, at a joint press conference with President Calderon of Mexico and Canadian Prime Minister Harper, in the White House Rose Garden, today. In Obama’s now standard un-presidential manner, he threatened the Justices on their consideration of the constitutionality of “ObamaCare”. You don’t say. Barack Obama is a thug and very worried that his only piece of legislation will go down in flames and ruin his re-election chances. While pretending to care about the lives of the American people he is really just caring about himself. It’s not unusual for Presidents to disagree with the Supreme Court, when it rules against them. This is usually done through a statement after the court has rendered a decision. President Obama believes that he can publicly criticize the court while adjudicating, showing the world that he knows squat about the U.S. Constitution and the job of U.S. President. I only hope that Obama’s public denunciations will strengthen the Supreme Court Justices to slap Barack really hard for his big fat stupid mouth and rule that the mandate is un-constitutional! The founders knew what they were doing when they created three distinct and co-equal branches of government. The Supreme Court is upholding it’s Constitutional authority and doing exactly what it is supposed to do; deciding on whether this crap sandwich massive piece of legislation is legal or not. President Obama just can’t stop being the idiot he has always been.